Custom, under-bed rail kit provides uninhibited use of your truck bed once hitch is removed and features Reese's easy and secure Power Puck mounting system. Works with Elite Series and Signature Series fifth-wheel and gooseneck hitches. Call 800-298-8924 to order Reese fifth wheel installation kit part number RP30074 or order online at etrailer.com. Free expert support on all Reese products. 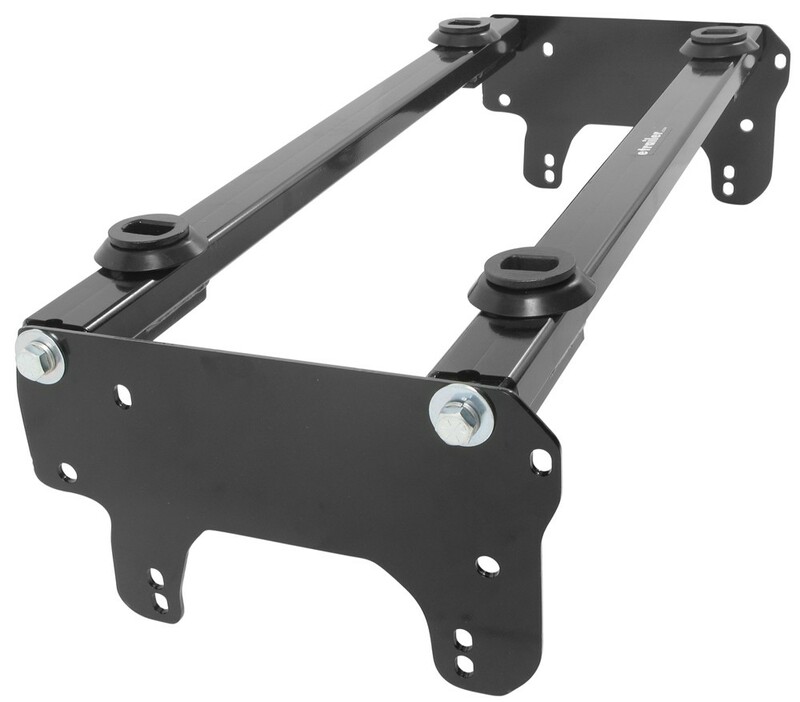 Guaranteed Lowest Price and Fastest Shipping for Under-Bed Rail and Installation Kit for Reese Elite Series 5th Wheel Trailer Hitches. Fifth Wheel Installation Kit reviews from real customers. Custom, under-bed rail kit provides uninhibited use of your truck bed once hitch is removed and features Reese's easy and secure Power Puck mounting system. Works with Elite Series and Signature Series fifth-wheel and gooseneck hitches. Now that we have used the pointed bolt we can go back inside the bed here and find the dimples that we made. On this particular vehicle they are kind of hard to see because we do have a spray in bed liner but they are sitting on the inside of this corrugation. To make sure you are finding the correct one they will be 13 inches apart. We will find the one on the driver side as well and measure out 13 inches. With those located we want to remove the bolts that are holding the frame brackets to the cross members. Just slide the cross members out of the way a little bit so when we drill our holes through the bed we do not hit the cross members and the scar those up. With the holes cut we want to take our cross members and slide them back into position both into the frame brackets and hand tighten them. We will come back inside the bed here and install our pucks. The pucks are going to sit into the cross members. The bottom will fit right in the groove in the cross member. We want to make sure we put our trim ring over top of the puck before we it. Take our button headed screw along with the lock washer and that through the hole in the puck down and thread it into the cross member and tighten those down. Continue that for all four of them and come back through and start the torquing process. Start torquing with these pucks first. Go back under the bed to first torque the cross members to the frame brackets and finally torque the frame brackets to the frame. You may notice that when you go to torque the cross members to the frame brackets that you have some interference from the overhang on the bed itself. If that is the case you may need to cut out a section to give you enough clearance to get to the bolt heads to torque them down. You can possibly move the pucks and lift the bed back up out of your way. With all of the bolts torqued down our installation is completed. Make sure that if you removed any wiring harnesses from the frame rail that you tie those back up into place and if you removed any brake lines, the same thing there. Also make sure to put the spare tire back up into position. That will conclude the installation of the signature series rail kit part number 30074. Order: RelevanceNewestRating - High to LowRating - Low to High Custom, under-bed rail kit provides uninhibited use of your truck bed once hitch is removed and features Reese's easy and secure Power Puck mounting system. Works with Elite Series and Signature Series fifth-wheel and gooseneck hitches. 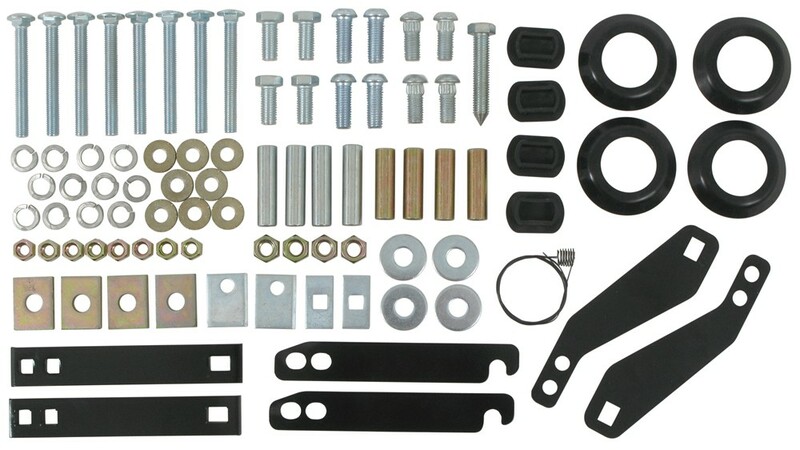 Do you have a question about this Fifth Wheel Installation Kit? The rail kit you need to install your Signature Series fifth wheel hitch in the bed of your 2012 Dodge Ram 2500 is the part # RP30074. You'll also need the Signature Series fifth wheel adapter kit part # RP58419 since the Elite rails are slightly different now but basically the same. For your 2017 Ram with the factory puck system, you will just need the Reese Rubber Hole Cover # RP30136 for the center gooseneck hitch ball location and the Draw-Tite Puck Plug # 58199 for the 5th wheel or safety chain locations. The Draw-Tite Puck Plugs include 2 covers, so you will want to order 2 to cover all 4 of the puck openings. The correct rail kit you'd need to install a Draw Tite Signature Series hitch in your 2008 Dodge Ram 2500 short bed is the part # RP30074. Only other thing you'd need is the Signature Series to Elite rail kit adapter part # RP58419 and you'd be set. The wiring kit you'd need to install a 7-way into the bed of your truck is the part # 51-97-411 which uses the same square connector your truck has for trailer wiring. Dodge did finally start offering fifth wheel hitch prep packages on their newer trucks, but back in 2006 they did not. The Reese Elite Rail kit part # RP30074 that you referenced has been confirmed as a fit for your 2006 Ram with Mega Cab and would work great with the # RP30156 adapter. This adapter will allow the Curt E16 Fifth Wheel hitch # 16516 as well. It sounds like you have either a Reese Elite Series or Signature Series 5th Wheel hitch. 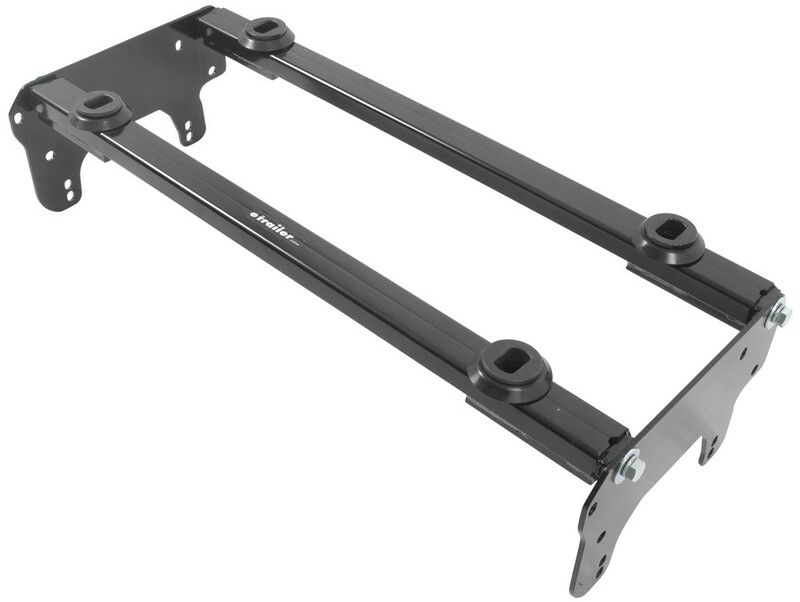 If this is the case, the Reese # RP30074 Under-Bed Rail and Installation Kit would be the correct kit for your truck. If you do not already have a 7-way trailer connector installed in the bed of your truck, you can install one using part # 51-97-411. I have linked you to some installation videos that you might find helpful. Is a Sidewinder Pin Box Compatible With a B&W Turnoverball Gooseneck Hitch? Your Reese Signature Series Fifth Wheel hitch will fit the Elite rail kit part # RP30074, but you will need to use the adapter part # RP58419. 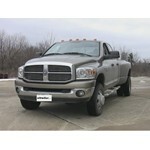 The # RP30074 has been confirmed as a fit for your 2008 Dodge Ram 2500 short bed as well. Highest quality fifth wheel installation kit for the best price. Most detailed, accurate fifth wheel installation kit information available.